Nothing beats the magic of seeing favourite characters appear live on stage, and this season we have some of our most loved fictional friends in our theatres. Tucked away in our Lilian Baylis Studio you will find The Little Match Girl (13 – 24 December) selling her wares on a cold Italian street in Arthur Pita’s delightful dance theatre take on Hans Christian Andersen’s timeless tale. As the night draws in on Christmas Eve, she finds herself caught out in the cold with only the spirit of her beloved Grandmother to guide her. Over on the main stage, we sneak into Geppetto’s workshop as he constructs the puppet that will one day be a real boy, in Jasmin Vardimon’s reimagining of Carlo Collodi’s original 1883 novel The Adventures of Pinocchio (27 & 28 October), back on our stage after its successful run last year. Stepping out of the pages of The Arabian Nights comes the mischievous thief Aladdin (31 October – 2 November), the beautiful Princess Badr al-Budur and the powerful Djinn of the magic lamp, brought to life by David Bintley and the stunning Birmingham Royal Ballet. 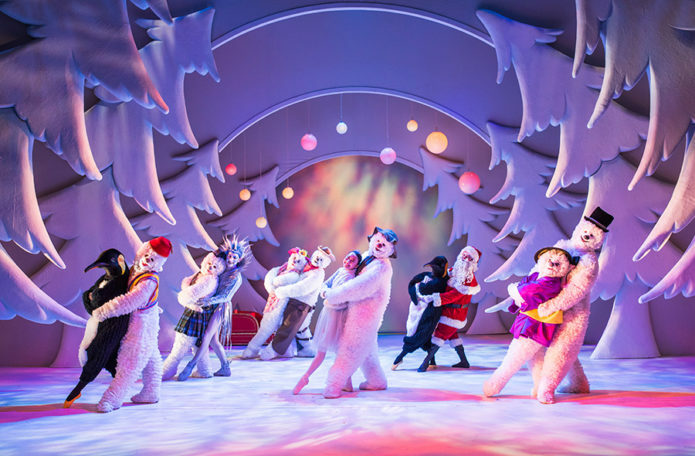 And of course, we could not forget our frosty friend, The Snowman (23 November – 31 December), as he makes his annual trip down from the North Pole to visit us for the 20th year in a row!